Neural activity maps frequently present an incomplete picture of how a brain works; you can measure electrical activity, stimulate it or visualize the anatomy, but you can't do all three. DARPA and the University of Wisconsin might just pull off that seemingly impossible feat, however. They recently built a hybrid brain sensor that combines both electrical and optical techniques to present a vivid picture of what's happening inside the mind. The sensor is primarily made of ultra-thin graphene (just four atoms thick) that both conducts electricity and lets light through. By putting this device on top of neural tissue, you can simultaneously create brain activity and monitor virtually every aspect of it. Graphene is safe for your body, too, so you shouldn't face the same risks you see with metal alloys. 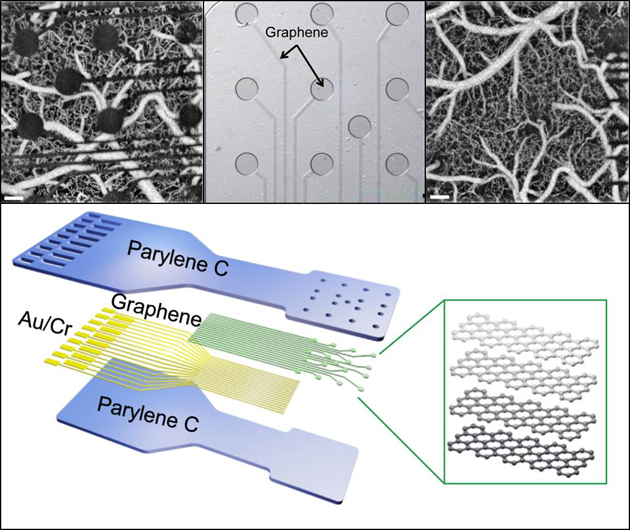 It's still early days for the project, so you won't be getting graphene-based implants in the near future. However, a finished version might do wonders for medicine. Doctors and scientists could see tighter correlations between activity in certain parts of the brain and related behavior, which could help them study and hopefully treat diseases that previously remained a mystery.